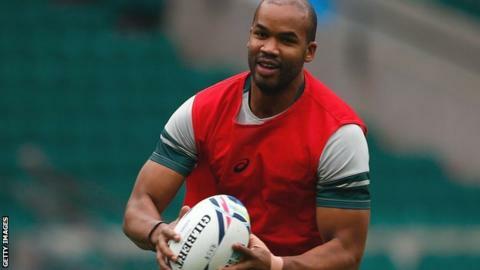 Leicester Tigers have signed South Africa international wing JP Pietersen for next season. The 29-year-old has 66 caps and was a member of the Springboks side that won the World Cup in 2007. He will move to Welford Road from Japanese club Wild Knights. "We have been looking to add world-class quality throughout the squad and JP is certainly in that class," Tigers director of rugby Richard Cockerill told the club website. "He has played at the very highest levels of the game for a long time." Pietersen, who has scored 22 tries for his country, added: "I'm really looking forward to joining up with a quality team like Leicester Tigers and competing for silverware in the Premiership and European Champions Cup. "I have spent the majority of my career in South Africa and the past few years in Japan and I feel that it's a perfect time to experience something new." Meanwhile, wings Adam Thompstone, 28, and Telusa Veainu, 25, and centre Matt Smith, 30, have agreed new deals with the Premiership side.